A volunteer worker was also injured back in 2013. 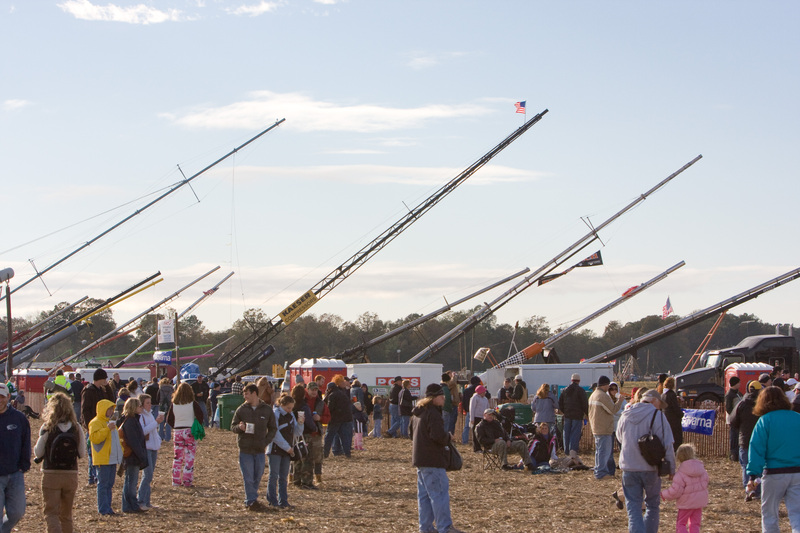 Earlier in November, a woman was critically injured at the World Championship Punkin Chunkin competition in Bridgeville, Delaware, after a homemade air cannon exploded. One of the cannons, which are used to blast pumpkins through the sky, malfunctioned and its trap door flew off. The airborne metal debris reportedly hit the 39-year-old woman who was in the crowd. The Science Channel has broadcasted the Punkin Chunkin as a post-Thanksgiving tradition, but this year the network has decided to cancel the special. The special was also planned to have aired on sibling Discovery Channel and has often been one of the networks’ biggest television programs each year. There was originally some misinformation floating around when the incident happened. First responders initially said the woman had died, but her status was then changed and she was transported to Nanticoke Hospital reports to the Cape Gazette. A 56-year-old man was also treated for non-life-threatening injuries from the explosion. The World Championship Punkin Chunkin competition was on a two-year break before this year’s event because of an ongoing lawsuit. In 2013, a former event volunteer suffered from a spinal injury after the ATV he was riding flipped over. His lawsuit was eventually dismissed in 2015. But the competition also struggled to get insurance. It’s unclear why the Science Channel waited to until the week of to cancel the televised special of an event that took place on November 6. One outlet has reported that the injured woman was a video producer for the channel. It would have been questionable to air the simulcast after someone has been so seriously hurt. And considering the 2013 injury, the future might not be looking so bright for future Punkin Chunkin competitions considering all the dangers.